My wife, Lydia, and I spent the first few years of our courtship road tripping around Oregon. As we’d drive around the state, she would wield the map and give me turn-by-turn directions. We were searching for that perfect campsite. You know, those sites smack in the middle of Oregon’s untamed scenery — the ones that feel undiscovered, like you’re in on a secret. It was on one of these road trips, at one of those perfect campsites, that I proposed to Lydia. That was many years ago. After our daughters were born, we did our best to continue our camping adventures. Our girls, Aubrey and Tucker, have grown up exploring tide pools on the Coast, chasing waterfalls in the Gorge, hiking in Central Oregon and dipping their toes in remote mountain lakes in Eastern Oregon. But as they’ve grown older and their lives have filled with their own interests, it’s been a challenge to find time for family road trips. So when I pitched the idea of RV-ing for spring break, I was a little surprised when everyone enthusiastically agreed. Lydia broke out her map collection, and we began perusing the state for a spot we hadn’t explored. We quickly realized we’d never ventured to Oregon’s South Coast together, which is surprising, since it has all the trappings of a classic family road trip. We cobbled together an itinerary, rented an RV and we were off — embracing our inner Griswolds, all in search of an adventure. After spending the morning packing up the RV, we departed Portland at noon with Bella, our Goldendoodle. Arriving in Coos Bay late afternoon with stomachs growling, we opted for an early dinner at SharkBites Café, known for their locally sourced seafood, and then made our way out to our reserved campsite at Sunset Bay State Park, one of three state parks in the Coos Bay area that are connected by a series of hiking trails. After a quick and easy setup, we made our way down to the beach and quickly learned how this place got its name. My personal favorite thing about camping is hanging out by the fire. It’s a road-trip ritual we’ve practiced since the girls were just babies. Aubrey brought out her ukulele, and she and Tucker — both girls are accomplished singers — took turns serenading us as Lydia and I stoked the fire, sipped a drink and let life’s many stresses dissolve away. I haven’t traveled everywhere in the world, but from all I can tell, there is no coastline anywhere that can compare with the wild, rugged beauty of the South Coast. Even as people increasingly travel from all over the world to experience Oregon’s great outdoors, this stretch of coastline still feels undiscovered. Making it all the more special is how accessible it is to any family with a spirit of adventure — whether you travel by RV or not. 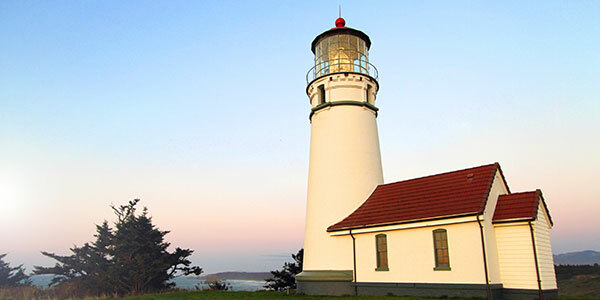 More than 40 state parks along the Oregon Coast have RV campsites, including eight on the South Coast alone. In fact, you’ll find RV parks and RV-friendly campsites all round the state. 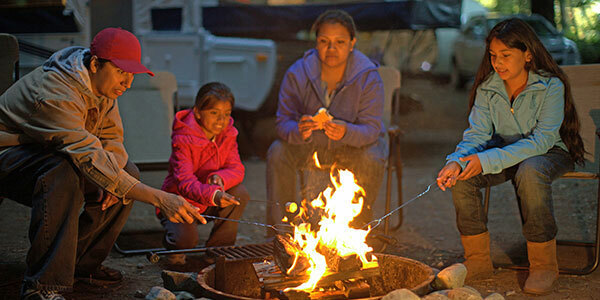 The official state park directory allows you to search for parks that offer RV campsites. And check out our RV listings to discover even more; you can filter results by amenities to find the site that suits you best. Don’t have your own wheels? Don’t worry. Plenty of businesses around the state offer RV rentals — do your research in advance, read online reviews and make sure you’re comfortable with the model you’re driving before you take the keys. For more information on traveling the state by RV, including rental information, check out the Oregon RV Alliance.